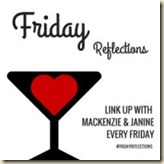 99 Things I Love #Friday Reflections - A Rose Is A Rose Is A Rose! Aaryan, the apple of my eye! Aaryan’s holidays. He is coming home tomorrow for a week and I can’t contain myself. Chats with Aaryan that make me realize that he is growing up, oh so well! Listening to somebody with a rich baritone. Would some things from my list feature in your list too?? Why dont you write your own list. You will enjoy doing it. Go for it! I so needed this. I’m going to do this. And such a lovely list you got here. 🙂 Keep treasuring the little moments. I think I should make a list too. Just reading yours was so much fun, probably writing mine would be better. 4. The way neighbors help each other out around here. 5. That we are close enough to a ‘big city’ that we can go there for a day, but get out of it before rush hour! 6. The first touch of sun on my skin in the morning. 8. Vegetables picked fresh out of the garden. 9. Internet friends and acquaintances. Wonderful list, LuAnn! I like living in a city which is not a metro but has everything of a metro city minus the traffic and congestion. Cozy mysteries… aah! That reminds, it’s been ages I read one. Must pick one soon! Thanks Sanch. I am more addicted more to my laptop than phone! Like Sanch said.. Mobile and laptop not mentioned but can’t stay without them..!! Completed my list.. your list looks wonderful! Enjoyed reading them. Many are common with me. I love lists and I love this list! Thanks for linking up with us this week for #Fridayreflections! Sheldon is my absolute fav. He is soooo crazy and funny. We have many “things we love” in common… Fresh sun dried laundry and making lists for instance…what’s your favorite word game on your phone? Aha! We have common interests! I love visiting your blog and I enjoyed reading this list. Lovely Shilpa thank you – I’d add to the list by saying receiving posts such as yours! Hi, It was a nice read. Who would have thought sun dried laundry gave happiness too? Yes, sometimes we take for granted many things that give some satisfaction to us,even it if it is for few seconds.